The competition analysis from identifying the competitors (current and future objectives, current strategy, resources available and predicting the future) – External analysis for Starbucks Coffee. Starbucks introduce themselves as a placed where consumers can spend their time other than their work place and home. To do this the company creates its all outlets as comfortable and relaxing as possible. The company provides relaxing and soothing music and comfortable furniture to its all stores. Starbucks provides different facilities like wire internet, complementary books, handicapped and many others to their customers (Clark, 2007). Starbucks stores are positioned as location where the customers can enjoy the atmosphere of the stores and spend quality time. Starbucks products are placed in a higher end according to their pricing and quality standard. McDonald’s, BIGGBY Coffee, 7-Eleven, Caribou Coffee, Einstein Bangles, Dunkin Donuts and Panera Bread are the competitors in the coffee beverage sells for Starbucks. MacDonald’s and Dunkin Donuts has a wider range of menu and at the same time, they have the financial resources and position to leverage their strength as a threaten option for the company. 7-Eleven and Einstein Bangles provide coffee and other beverages in a cost-effective manner which attract the customers who are extremely priced sensitive (Betz, 2011). Caribou Coffee is also provided similar facilities like soothing atmosphere, comfortable furniture, and free internet to their customers. Still Caribou Coffee cannot win the competitive advantages over Starbucks because they have lack of market expansion strategy. BIGGBY Coffee is small independent own coffee shop who is placed in the middle ground in the competitive position of the market. BIGGBY Coffee competes with individual location of the Starbucks. BIGGBY Coffee did not make any effect on the Starbucks business as because they have not enough market shares like Starbucks. Macdonald’s is the major competitor for Starbucks. Macdonald’s offers lattes, cappuccinos, espressos and mochas with choice of different flavorings and milks. At the same time Macdonald’s set the less cost for this wide range of beverages than Starbucks. This will help them to gain the market advantages. 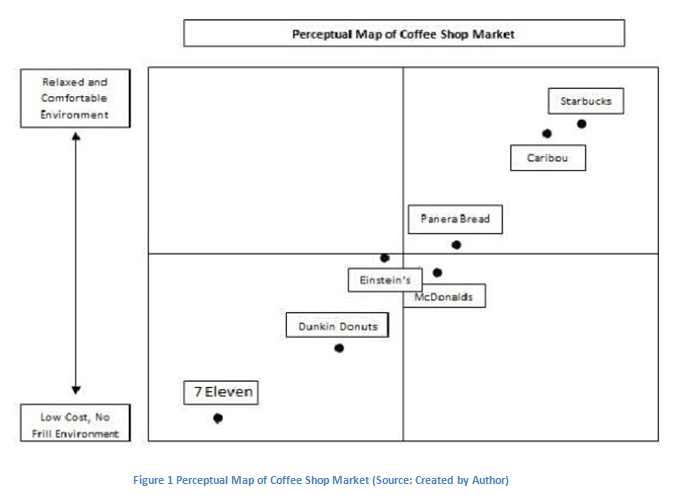 Their market expansion policy and overall market share make them treat for Starbucks (Bradley, 2009). Starbucks has established a relationship with the Kraft Foods. Kraft Food is the US-based largest food, beverages and confectionary Corporation. Starbucks sells it branded package coffee and teas in grocery and warehouse club stores in all over the UK by using the licensing relationship with the Kraft wood. In the UK all the promotional activities, marketing, and distribution of Starbucks have been done through Kraft Food Corporation. The company also sells packaged coffees and tea internationally both to warehouse club stores and grocery stores (www.starbucks.com, 2014). Starbucks sell their wide range of products through the retail section of the organization. The company has to do a good amount of market research to develop capabilities leveraged to increase the brand value their products. They are providing the optimum level of services to their customers. The organization has strong ethical values. At the same time, the company has a commitment towards the environment and community as well (www.ebscohost.com, 2014). The company has to develop an effective marketing strategy to achieve the business objectives. The company has to change the focus from quantity of the location to quality of the location. It is not good for the company’s future profit to open Starbucks at every corner (Braganza, 2001). The main of the organization is to provide quality of the services and business because they have already established their reputation to provide best quality coffee to the customers. To this, they will continuously take the feedback from the customers and the employees and according to that, they do the necessary changes in their operational part and also in their business process. When the company selects the location for their coffee shop they will do market research to understand the environment, culture and many other things which are related to the at the location. This will help to increase their sells volume (Bradley, 2009). The company can establish a regional team to evaluate every location of the outlets. According to tote report of the evaluation, the changed strategy and planning process will be sent to the every outlet managers to establish the changes in their stores. After a year follows up evaluation is done to understand the success of the changes made. The company has to focus on capitalizing on the in-home brewing market. To do this company was planning to sell their Single Cup Brewers from all the Starbucks retail locations such as Target, Walmart and many others (www.starbucks.com, 2014). As the company has occupied the maximum shares so the financial resources are available to them. Their management allocated all the resources effectively and efficiently to meet requirements of the market and at the same time, they make a balance between the supply and demand of the market. Through Porter’s Five P analysis we can understand the competitive environment and analysis the strategic development for the organization. This five P determines the intensity of rivalry among the competitors, the risk of entry of new competitors, the bargaining power of the buyers, bargaining power of the suppliers and the threat of substitute products and services. Rivalry among the existing competitors: Rivalry is high for the Starbucks within the Australian industry where they operate. Their major competitors are Gloria Jeans and MacDonald’s, and a host of national coffee beverage establishments such as Esquires Coffee, BlueBird Coffee among many others (www.ausfoodnews.com.au, 2014). To gain the more profit from the market it is important for the organization to win over their competitors in the market within the same industry. Where the level of rivalry is less the possibility to gain profit is high. But in this case, the company has so many rivalries in the existing market, therefore, it is less chance for the organization to gain more profit from the market (Kotter, 2007). The coffee industry is mainly dived into two sectors such as production base segment and retail-based segments. The specialty of the coffee industry competition is that it is not priced basis for other industries. The consumption of the coffee is not dependent on the price of products but the differences between each product and the value added variables like the brand value of the products, the image of the company in the market and the quality of customer services. The threat of new entrance: the entry of new company in the industry will bring the completion into new and higher level. If any big company enter the market then other companies in the industry have to face problems in order to hold their market position and amount of market share. Other companies of the market develop high barriers for the new entrance. These barriers are access to distribution channel and government policies, product differentiation, capital requirements and economies of scale (Duck, 2009). Here, in this case, the threat of new entrance to the coffee industry to compete with Starbucks is low because the market of this industry is highly saturated. At the same time requirements of financial resources needed for building and properties are subsequently high in order to enter into the industry. With respect to the Australian market, there are higher numbers of indigenous businesses based on the provision of quality and cheaper Coffee beverages. Added to this aspect is the presence of MacDonald’s, whose products are regarded to be very similar in taste and quality to the ones provided by Starbucks, yet characterized by a significant difference in prices (www.ausfoodnews.com.au, 2014). The bargaining power of the customers: Customers are the important factors for the industry. Customers can influence the rise and fall of the rate of profit of the organization in a particular industry. In this coffee industry, individual customers are playing a role of largest purchaser. In this industry the product differentiation is very high that is why the customer’s trends to look more of the quality of the services and the images of the companies in the market. Here in this case of Starbucks, their customers have possessed a high degree of bargaining power because customers can easily switch over the product and the switching cost is minimal. Wide ranges of offers are available for the customers as well. Bargaining power of the suppliers: Starbuck suppliers have high bargaining power. It is because the demand of the coffee is very high in all around the world. At the same time, coffee beans are produced from some particular geographical areas. Another reason is that African coffee producers have been treated unfairly by the multinational companies and some of the nongovernmental organizations this is led to increasing the bargaining power of the suppliers (Kotter, 2007). Threat of substitute products and services: Treat of substitute products and services of the company is moderate. Substitutes for the company includes tea, soft drinks, hot drinks and different types of juices and many others. On the other hand pub, bar and many other are the substitute places for customers. The sections above had been focused on the evaluation of the competition and rivalry prevalent in the business environment for Starbucks. At the same time it has also led to the identification of critical and important factors that needs to be paid attention to by the leadership of the organisation, as these are related to competitive strategies and planning by the business organisation in the industry. The aspects that have been presented in the sections below are related to the market size of the organisation in the industry, the emergence of newer business models and concepts, buyer behavior and the market approach of the organisation (Kotter, 2007). One of the most important factors that need to be highlighted is the fact that the market size of the organisation has been observed to be shrinking because of two main reasons. One, the tastes and preferences of the consumers in the market have been changing over the years that have led to a rise in popularity of contemporary coffee chains in the market that are successful in significantly influencing the outlook of the customers in the market related to beverages and snacks. At the same time, the competitors of the organisation have been able to identify the aspect that there needs to be a change in the products and services that are offered to the customers in the market and they have successfully launched alternative business models, which help these companies to identify ways of sustaining and growing in the business organisation. An important aspect regarding the market size in Australia is the fact that the trend is to prefer the indigenous coffee-based beverage service providers in the country. It is widely regarded that the coffee culture in Australia had been present for close to a century and the population of the country prefer quality coffee that can be obtained from the various old and national coffee sellers such as Esquire Coffee and Bluebird Coffee Shops that have numerous outlets in the country. Starbucks is regarded to be a provider of commercialized, quality coffee, but at higher prices than those available to the customers in the market (www.thenational.ae, 2014). This is one of the main reasons that lead to shrinkage of the market in the country. This is another important aspect that has been observed to play an important role in the business environment of the organisation. Related to hot beverages and snacks, an important factor that needs to be highlighted is that there has been an emergence of newer concepts and models which have been perceived to have an impact on the customers of Starbucks and various other similar establishments. An example of the same can be provided to be that of a growing trend to prefer herbal teas and other similar hot beverages as these contain lesser calories and are supposedly healthier (Betz, 2011). The ability of the customers to afford the products and services offered by various business organizations is an important aspect that is considered to have a major impact on the business operations of the organisation in the industry. In relation to the same an important fact, that needs to be mentioned is that in comparison to the earlier times, there have been adverse impacts on the economy which have affected the professional development and career of the young generation. This leads to a speculation as to how much would they be able to afford luxury coffee services, which is the main business line of the chosen organisation in the industry (Bradley, 2009). The traditional marketing approaches of the organisation in the market is a critical factor of evaluation and studies as the derivation of the benefits of the same has to be critically analyzed in the presence of a market environment whereby contemporary marketing approaches have been observed to be increasingly adopted by business organizations in the industry to attain competitive advantage (Duck, 2009). Starbucks needs to identify appropriate and effective contemporary market approaches for sustaining and achieving growth in the industry. Here with AssignmentFirm.com you can get the best Marketing Assignment Help. 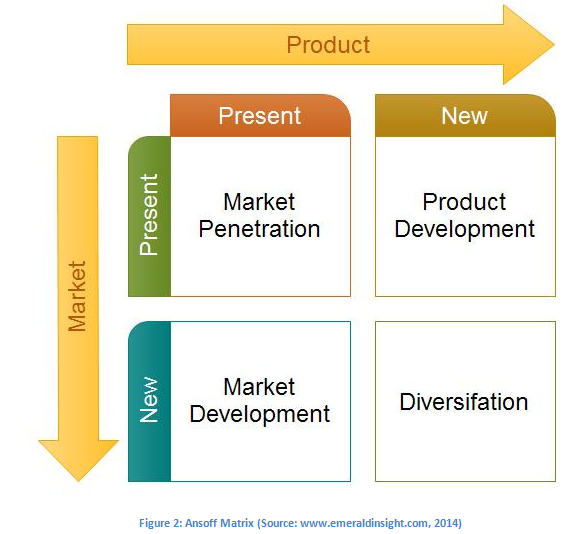 The requirement of the organisation to be able to identify future strategies that would be most suitable leads to the evaluation of the options that are available to the organization and the best framework that have been identified related to the same is that of the Ansoff Matrix, which helps the leadership of business organizations to be able to evaluate the options of market penetration, market development, product development and diversification in the industry. 1) Market Development – market development is not regarded to be an important strategic option for the organisation in the industry based on the current line of products and services is because of the fact that it would be difficult to attract more customers to the market and business operations. The organisation has achieved significant market presence internationally, and newer strategies are perceived to not guarantee the success of the organisation through the adoption of the same (Bradley, 2009). 2) Market Penetration – given the fact that the customers of the organisation are located in important Cosmopolitan cities, it needs to be stated that market penetration with the existing product and service lines of the organisation cannot be suggested to be a feasible business strategy for the leadership of the organisation. However, penetration of the market with more number of products is a possibility, but the same can also be stated to be associated with a significant element of risk involved. 3) Product Development – the aspect of product development might be an option of business strategy for the leadership of the organisation. However, it needs to be ascertained for sure that the development of new products and services would lead to an increased volume of sales for the organisation. 4) Diversification – the most feasible strategy to the business organisation has been identified to be that of diversification, whereby the leadership of the organisation has to focus on the development and introduction of new product and service lines to the market to ensure sustenance of market presence and to some extent, enhancement of the position of the organisation in the international market (Betz, 2011). In accordance to the same, the best possible recommendation that can be provided to the organisation is that of focusing on the introduction and a new business model involving the sale of commodities to the customers at comparatively low prices to ensure an increase in the market share.